Furniture for sale ads in Bunbury. Thank you for visiting our free advertising website Furniture for sale, Bunbury section. We provide high response free classifieds and free advertisement. Use our online free Furniture for sale classifieds placement system to find, list, offer Furniture for sale online! Table 1200 x 750 in good condition, Originally bought from Souths, Bunbury. Malaysian hardwood with Antique Maple stain. 4 chairs padded seats backs shaped for comfort asking $275. ono, phone Dianne 0498332062. Wooden king single bed Excellent condition. With foam mattress. L Shape corner light Brown couch good condition no holes or rips comfortable to sit on & sleep on. You can split it into two..
Open wardrobe for sale (no doors), white, (h) 165cm, (w) 165cm, (d) 40cm, $60.00 6 drawer dressing table, black with mirror, (h) 170cm, (w) 120cm, (d) 41cm, $80.00 Oats broom-$2.00, Sabco carpet sweeper-$10.00, floor mop-$5.00 (SOLD) 2.5year old carpet, excellent condition - 4.78 mtrs x 3.6 mtrs - $150. 1x solid pine table measures 1.250 x 1.250m 8 cushioned chairs (dark blue) In very good condition. wooden dining table with pipe style legs. 6 suede fabric chairs with very solid chairs .$100.00 One office desk in cream colour with matching filing cabinet $130.00. In excellently condition. Has arm and head protectors. Salmon colour. Price is negotiable..
Lovely wrought iron wine rack. Good condition. Height 135cm, width 65cm and depth 35cm. Will hold 54 wine bottles, glass top..
Bought for $1000 each 3 years ago. Very smart, modern and comfortable. Both have been scotch guarded. Bargain $200 each. Westinghouse 421 ltr two door fridge freezer. Ideal second fridge/freezer. WHITE GLOSS BUFFET 180CM 82CM 50CM 2 CUPBOARDS 3 DRAWERS VERY GOOD CONDITION $550.00 WHITE GLOSS BOOKCASES 2 194CM 60CM 40CM SHELVES 4 DRAWERS VERY GOOD CONDITION EX ACQUIRE $350 EACH OR BOTH FOR $600. Dining table and chairs, wood. Wood table and chairs, jarrah stained. very good condition. 1.0 m x 1.2 m long. Turned legs. very nice. $270.00 ONO. solid jarrah and steel bunk bed ideal for kids. spring bases and safety ladder. going cheap. computer desk in new condition, strong and sturdy $300, 4 chrome molded bar stools cherry red $50 each, sharp 81cm LCD tv $300, metal single bed with mattress in new condition $400, old fridge works well $50. Simpson 5.5kg heavy duty washing machine 6 years old $400 and hoover cloths dryer $70. samsung sbs fridge/freezer, 539L, fridge 317L freezer 222L, dark silver in colour, 600mm deep, 855mm wide, open door alarm, twist ice maker, frost free, 4 years old $1800 to buy new iam asking $1100 ono. Top quality West Australian made black leather sofa has never been used - it is in excellent, as new condition with no marks or damage. The new price of this beautiful and very comfortable sofa is $1599. We originally bought 2 sofas, thinking we had the space in our family room, but unfortunately we only need to keep one. Yamaha Piano for sale Excellent condition. 3 piece black/brown. Excellent condition. 1x3 seat (2 recline) 1x1 seat recline 1x1 seat recline, rock, swivel. FOR SALE Quality dark green leather lounge suite. Excellent condition. 2 singles and 1 three seater $450 ONO View in East Bunbury Ph 0428 396 808. Pillow top, Chirocare Accorde, Orthopaedio Slumber care. In very good condition. CLEAN LIKE NEW>. For Sale Solid Timber home entertainment unit 150cm x 55cm x 45cm Price $75 ONO contact Beulah between 1pm and 5pm. 4 chrome patio chairs in good condition. Very smart. $40 the lot. Phone Ray to inspect on 0403 508 199.
l am down sizing and have a beautiful solid Quality timber dining table with 6 matching chairs for sale. The timber has a gentle stressed look and is called American Rustic. The table has lovely thick solid legs size is 1800m2 x 1050m2 all in excellent condition. Unable to download pictures but willing. Australia free ads for Furniture for sale, Bunbury, Furniture for sale free ads Bunbury, Furniture for sale for sale Bunbury, Furniture for sale to buy in Bunbury. 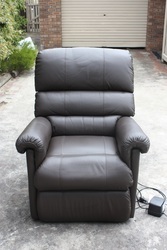 Find on this page free classifieds for Furniture for sale in Bunbury. This listing includes classifieds for sale and to buy in Bunbury. FREEADSAustralia Bunbury offers you a platform to post free advertisements or classifieds for Furniture for sale in Bunbury. FREEADSAustralia helps you search, find buy, sell, rent or hire in various categories like apartments, goods for sale, local services, cars , jobs and many more in Bunbury. If you posted an advertisement in category Furniture for sale of FREEADSAustralia Bunbury before please use Edit my ads button to change or cancel your ad. Furniture for sale Bunbury ads Bunbury, Furniture for sale classifieds Bunbury, Furniture for sale free ads Bunbury, ads for sale Bunbury, ads to buy Bunbury, FREEADSAustralia. Find here ads for sale, to buy and rent in Bunbury. Goods for sale in Bunbury, vehicles for sale in Bunbury, Bunbury real estate for sale, Bunbury property for sale, property for rent in Bunbury, business ads in Bunbury, Bunbury business classifieds, services in Bunbury, Bunbury services ads, jobs in Bunbury, pets for sale in Bunbury, Bunbury dating, Bunbury cars for sale.